This is one of the smallest PC keyboards we sell (280mm by 130mm) but has super large, high visibility legends, engraved in to it's keys. The legends (letters) are white on the black keys and keyboard, and will never wear off, the keyboard takes up literally half the desk space of the standard Keyboard yet has a full 86 keys. 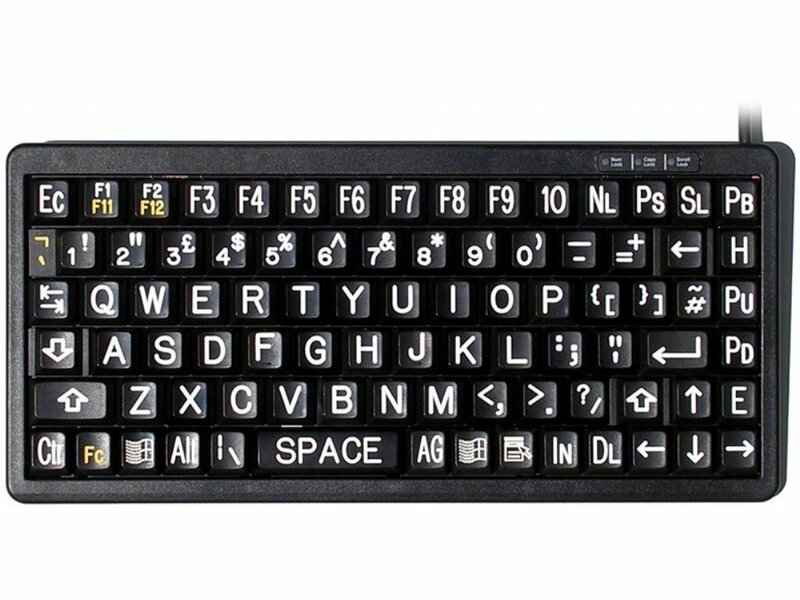 The function key, to the right of the bottom left hand corner, control key, enables the numeric keypad which is embedded in the alpha keys.